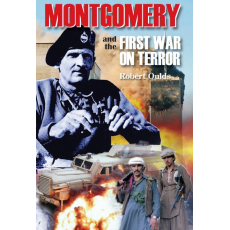 As well serving on the volatile North West Frontier of the Raj prior to the First World War and again in the 1930s Bernard Law Montgomery, later Field Marshal Viscount Montgomery of Alamein, fought two wars on terror. He faced first the IRA in Ireland in the early 1920s when he commanded British troops in County Cork, hotbed of terrorist violence. Next he faced Islamic insurgents in Palestine during the Arab Revolt on the eve of World War II. In both conflicts he introduced new tactics, new training and new techniques that surprised and defeated his enemies. He also came to profound conclusions as to how the contrasting wars in Ireland and the Middle East should be handled.